We have devoted our legal practice to helping clients with personal injuries, including traumatic brain injury or herniated disk. Many clients have suffered life-altering spinal cord and brain injuries due to car accidents, motorcycle accidents, industrial accidents, construction accidents, and more. If you have been injured in a serious accident, caused by someone's negligence, that resulted in catastrophic spinal or brain injuries, you do not have to deal with the insurance companies yourself. The competent accident and injury attorneys at Hollis Wright can help you pursue compensation for the damage that has been done to you through no fault of your own. Many serious spinal cord and brain injuries change a person's life forever. We believe you have the right to a fair settlement for your loss of wages, pain and suffering, emotional distress, and other issues that go hand-in-hand with a serious injury. With a combined legal experience of more than 150 years, our attorneys are dedicated to helping you get the compensation you deserve. You can contact us here or call us at 205.324.3600 or 844.LAW.TALK. When clients come to us with serious spinal cord and brain injuries, we begin building a strong case immediately. We have found it is important to have each brain injury client evaluated by an appropriate expert. For that reason, we maintain a network of trusted medical specialists, including a neurologist and neuropsychiatrist who can provide expert medical testimony to the jury. 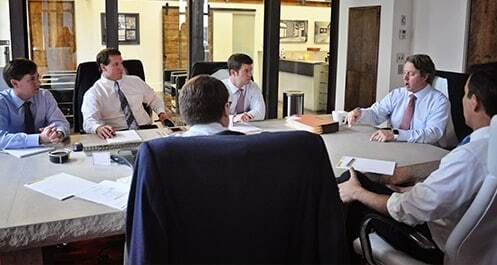 Additionally, we use considerable resources—financial, time and otherwise—to ensure your case is solid. This includes using in-house investigators, as well as contracting a variety of other specialists to ensure we have all the facts and timelines in order. We have also found that family members can provide testimony on the impact of brain injuries. Our attorneys dig for the facts that are important to winning the personal injury claim, because we want to win compensation for your medical bills, life changes and income loss. Due to the nature of the injury, many clients have their lives changed overnight when they are injured in a workplace accident caused by third-party negligence. Our attorneys' first concern is to get appropriate medical care for our client. Because there are many gaps in governmental and private insurance coverage, our life care planner often steps in to assess the client's needs and condition and identify potential coverage sources. If the client has lost the ability to earn a living, we will call in a vocational assessment planner to verify the claim to help us build a stronger case for compensation from the time of your injury and beyond. Centrally located in Birmingham, Alabama, on historic Morris Avenue, the Alabama accident attorneys at Hollis, Wright, Clay & Vail, P.C. have been serving clients for more than 15 years and work diligently to level the playing field for those who have been injured through no fault of their own. Each attorney has dedicated his and her career to obtaining justice and fairness for injured clients. 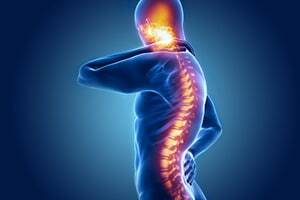 For a free initial consultation about your spinal cord and brain injury claims, contact a qualified personal injury lawyer at Hollis Wright in Birmingham, Alabama. Evening and weekend appointments are available for your convenience. Call today for more information.